It is a fact that nutritious eating nowadays can be hard to impose, especially with so many temptations around. Fast foods are everywhere and it is also natural for us to want to eat something delicious, never mind even if it is not healthy, just as long as we take pleasure in it. But of course, it takes its toll eventually. Maybe not right now that you are young, but it will because it always does. So, when you are older you feel aches in your joints and muscles and you struggle with it physically and socially. You find it tough to take pleasure in doing your hobbies and enjoying social activities because of the pain and discomfort. There even comes the time that you need to make activity adjustments just because you are not feeling it. You should know that this is not the kind of living you should be stuck with. You need to continue enjoying life despite your age. You should also consider listening to what your body requires. Joint Juice has legendary quarterback Joe Montana as its endorser. The athlete recommends Joint Juice as one that ultimately helps in relieving pain and discomfort brought by joint problems and arthritis. While many products like this are made into pills, Joint Juice apparently comes as a juice. Joint Juice claims to cure arthritis, which is achieved by providing the body all the essential nutrients and minerals it needs to maintain its strength. Joint Juice’s is the manufacturer’s main product, though it has since expanded its reach by developing other products. 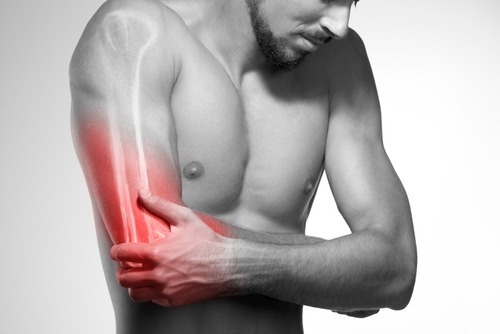 This product is a juice drink that’s meant to help those who are struggling with joint aches. Joint Juice is actually developed for those who have active lifestyles as they’re the ones who mostly need to deal with joint and muscle discomfort. Also, the company behind Joint Juice also made another venture in making a remedy for those who are suffering from osteoarthritis. The manufacturer also asserts that Joint Juice can offer ease from pain in only a matter of two weeks where you’ll certainly feel a remarkable progress in your overall feeling. There’ll be increased motions or movements, too. Just like other supplements, this product contains chondroitin and plus sulfate. These two are frequently used in other products for joint relief. Since Joint Juice comes as a juice drinks, this surely is a breath of fresh air especially if you’re already exhausted of consuming products in pills. Joint Juice can prove to be beneficial as well because it is claimed as a natural supplement. This is because the ingredient chondroitin comes from herbal sources. As for its sweetening agent, Splenda is used to give enough sugary taste without being an obstacle in your weight loss routine since its calorie content is low. Just take a single bottle since this should give you the suggested dose of glucosamine. 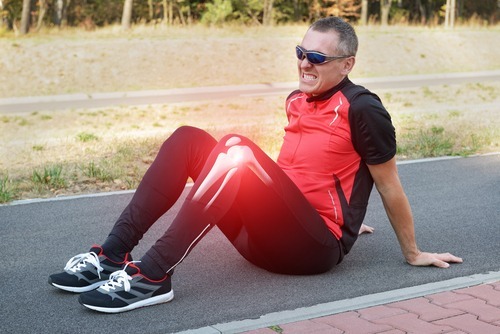 Initially, Joint Juice was intended for athletes who struggle with osteoarthritis. But generally speaking, any individual who needs this as a remedy can take this product. This juice drink is manufactured by the company of the same name, Joint Juice. Joint Juice is only composed of natural plant-based components, so they’re generally harmless for regular consumption. This is unlike other products that make use of shellfish, which can lead to allergies. Furthermore, the company utilizes Splenda as its sweetening agent to make sure that the calorie content is still minimal. For every 8 oz of Joint Juice, you don’t consume over 25 calories. Joint Juice is available in various flavors. These are cranberry, orange, pomegranate and banana. The official site of the product does not mention of any clinical studies conducted. It is, however, important to note that the components involved in Joint Juice are prominent in the industry. There’s a 30-day money-back guarantee that comes alongside Joint Juice. Thus, you’re given a month to see if the product is suitable for your needs. In the case that you find Joint Juice unsatisfactory, you need to reach out to their customer service to request for a refund. A single bottle of Joint Juice is deemed sufficient to provide your body the essential nutrients it needs each day. If you’re taking prescription drugs to address any medical problems, it’s better to consult your physician first if it’s okay to proceed with Joint Juice. This way, you’re guaranteed that your health is still being observed by your healthcare provider while taking Joint Juice. The manufacturer does not set any particular schedule for consuming Joint Juice. Just drink one glass of Joint Juice every day and you should be fine. As mentioned, the components of Joint Juice come from plants, so there shouldn’t be any adverse reactions. On the other hand, the plus in the formulation may trigger heartburn and abdominal gas. Can Joint Juice Address Arthritis? Based on the components it has which basically combat osteoarthritis, Joint Juice should be able to heal arthritis. Reading on various consumer reviews, you can also have the idea that Joint Juice is really effectual in treating such condition as it already has helped so many. The outcome depends on every individual, as with other supplements, but several users have reported feeling relief after using Joint Juice. This implies that Joint Juice is safe and effective and this is personally experienced by many customers. The positive effects are often reported to be visible within four weeks. Based on the reviews on various sites, Joint Juice seems to be a great supplement that promotes join health and alleviates pain. Several users are actually satisfied with the product’s performance and the results it can bring. Meanwhile, some of these users said that it took more than two weeks for Joint Juice to take effect. Overall, Joint Juice got a B rating. This is already great compared to other products which got lower ratings. Bottom Line: Is Joint Juice the Real Deal? Joint Juice is ideal for those who want to improve their joint health or those who simply want to take a break from the discomfort of joint aches. With Joint Juice, you’re given a month to see if the product suits you, thanks to the 30-day money-back guarantee. With this, customers are given sufficient time to make the conscious decision. Plus, Joint Juice also comes in various flavors.